Pratt Industries treated 300 workers and family members from the Department of Sanitation New York and our paper mill to a night of fun and baseball at the Staten Island Yankees last week…and our chairman Anthony Pratt threw out the first ball accompanied by his 6-year-old son, Leon. Happily, it was a perfect strike. 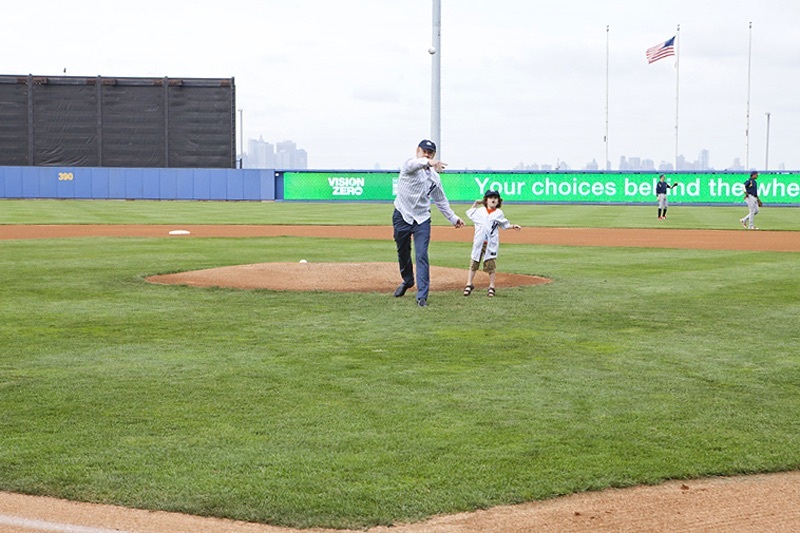 The event is Pratt Industries’ annual salute to the team at the DSNY, with free food, drinks and family fun, including a pre-game appearance by the DSNY’s Pipes and Drums band. Pratt and the DSNY have been partners in recycling since before our Staten Island mill became operational in 1997. Since then, we have recycled more than 5.5 million tons of New York City paper together – saving the equivalent of some 95 million trees in the process!